Tagged with Hobsons, Teaching Excellence Framework, TEF. “It’s essential for students to understand what TEF results reflect at that moment in time"
HEFCE introduced the voluntary scheme in 2016 to recognise quality in teaching at the undergraduate level. 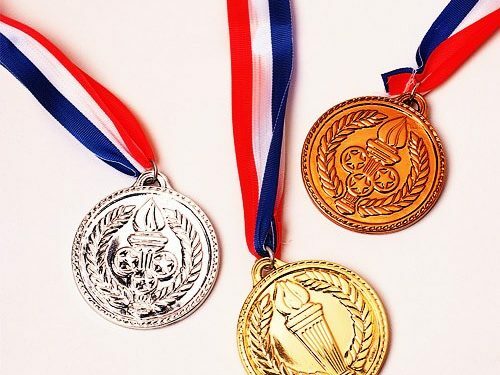 Last month the first round of Gold, Silver and Bronze ratings were awarded to some surprise from the sector as many of the country’s highly ranked institutions missed out on top tier results. But, a survey of 3,300 international students by Hobsons reveals confusion among international students about the controversial scheme. Of the students who claimed to know about the scheme, a quarter think a Bronze award means teaching quality is ‘unsatisfactory’ and half thought results were based on random inspections of lectures and classes from the Department of Education. Seventy three percent did correctly identify that TEF ratings are based on statistics such as dropout rates, student satisfaction survey results and graduate employment rates, however. The framework uses an institution’s history as a benchmark for the ratings but 60% of students who had heard of it and 35% of those who hadn’t said they thought all universities were measured against the same criterion. “I’m not surprised by these results but I’m a bit disappointed that more international students aren’t familiar with the TEF,” commented Paul Raybould director of marketing & market intelligence at Hobsons EMEA. Stakeholders agree the results of the survey aren’t surprising. “If we find it difficult to understand what TEF is telling us here in the UK how do we expect people overseas to understand it?” commented one pro-vice chancellor of global engagement, who added that the confusion could do harm to the sector’s reputation. Despite the lack of awareness about the scheme, the survey also shows that students are influenced by TEF results. Both students who have heard and not heard of the TEF said they would be more likely to choose a university with a Gold TEF award above one that is highly ranked in global league tables. However, for lower rated institutions, students said they would choose universities higher placed in the rankings over ones with Silver or Bronze awards. Sonal Minocha, pro-vice chancellor for global engagement at Bournemouth University believes the government needs to do more to improve the communications strategy around the framework, saying Minster for Universities and Science Jo Johnson’s speech this week “clearly targeted the Bronze players”. “The international press and media will obviously pick that up as Bronze equaling mediocre,” she said. Commenting on the TEF in an address to the higher education sector earlier this week, Johnson, said: “For too long, institutional incentives have led universities to prioritise research performance over teaching and learning outcomes. Johnson also confirmed the next stages of the framework would incorporate graduate outcomes, subject-level ratings and teaching and contact hours. And Minocha added that universities will also play a role in informing international students about the scheme. “As it will be on every UCAS course page we do have to educate potential students as to its value, its parameters and how students can use it in their decision making,” she said.